The pilgrims who want to travel to Mecca for Hajj won’t be given any subsidy by the government anymore. The centre has abolished the Haj subsidy and will instead use the agenda of empowerment of minorities without appeasement. Minority Affairs Minister Mukhtar Abbas Naqvi made the announcement about the Hajj Subsidy, “Haj subsidy funds will be used for educational empowerment of girls and women of minority community.” he said. He also told that even though the subsidy has been replaced, 1.75 people will still be traveling to Mecca for Hajj. Another significant decision made by the government was that women, aged 45 and above and travel alone, albeit in a group that should at least have four members. Talking to the media, Naqvi also announced that the Saudi Arabia government has agreed to all Haj journey by sea, and that all the officials will have discussions together so that they can come with all the conditions. “This is part of our policy to empower minorities with dignity and without appeasement,” he said. “A constitutional bench of the Supreme Court had, during the Congress regime in 2012, directed that the Haj subsidy be done away with. Hence, in the new policy, as per the recommendations of a committee, we have decided to do away with the Haj subsidy gradually,” he addressed the media about the decision to abolish the subsidy. 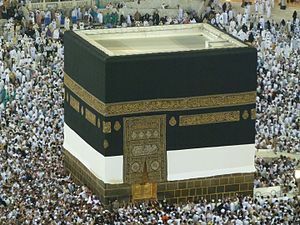 Hajj is one of the holiest pilgrimage for the Muslim community around the world and it is situated in Mecca, also considered to be holiest city of all. A Muslim individual, who is physically and financially able to travel to the city and pay his respects to the allah should be absolutely to do so, at it is considered the highest form of prayer for the community.